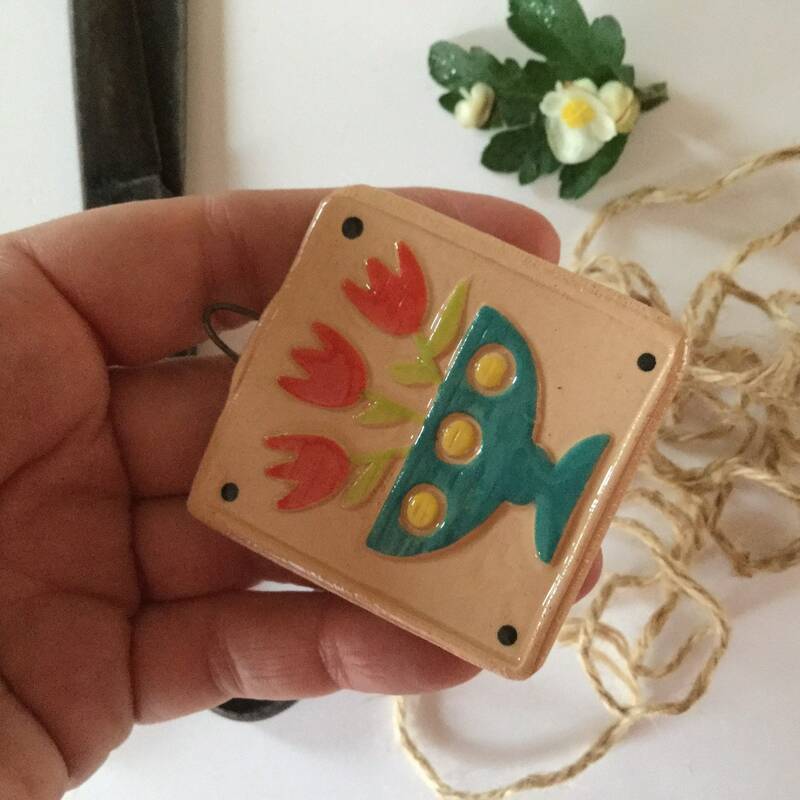 Flat, hanging square shaped ceramic tag/decoration. Pale honey coloured background with brightly glazed 3D flower motif. Measures approx. 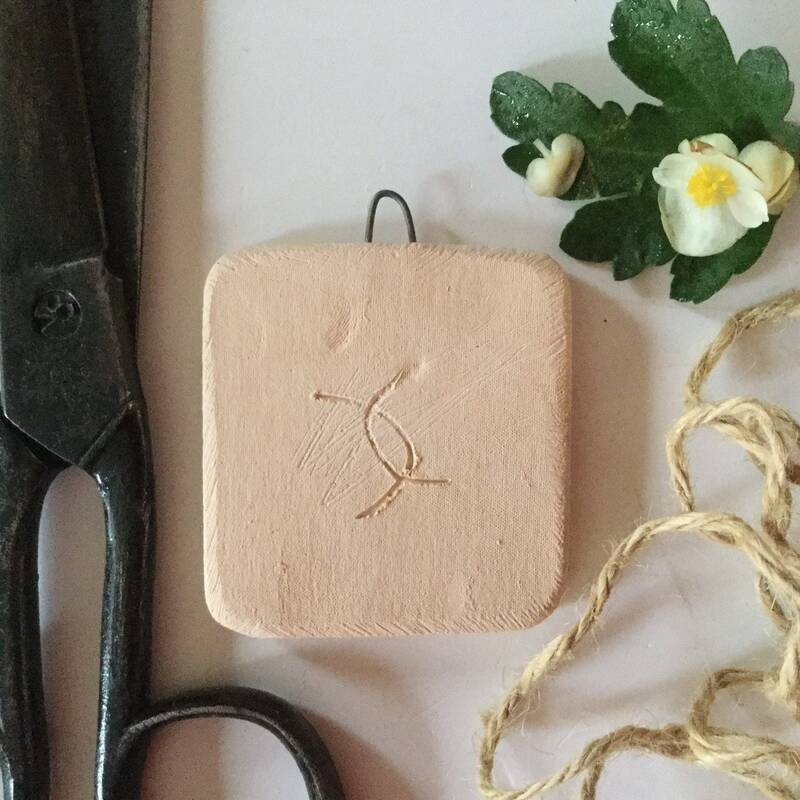 5.5cm x 5cm. Not glazed on the reverse. Integral wire hanger. Please feel free to add your own string/ribbon. 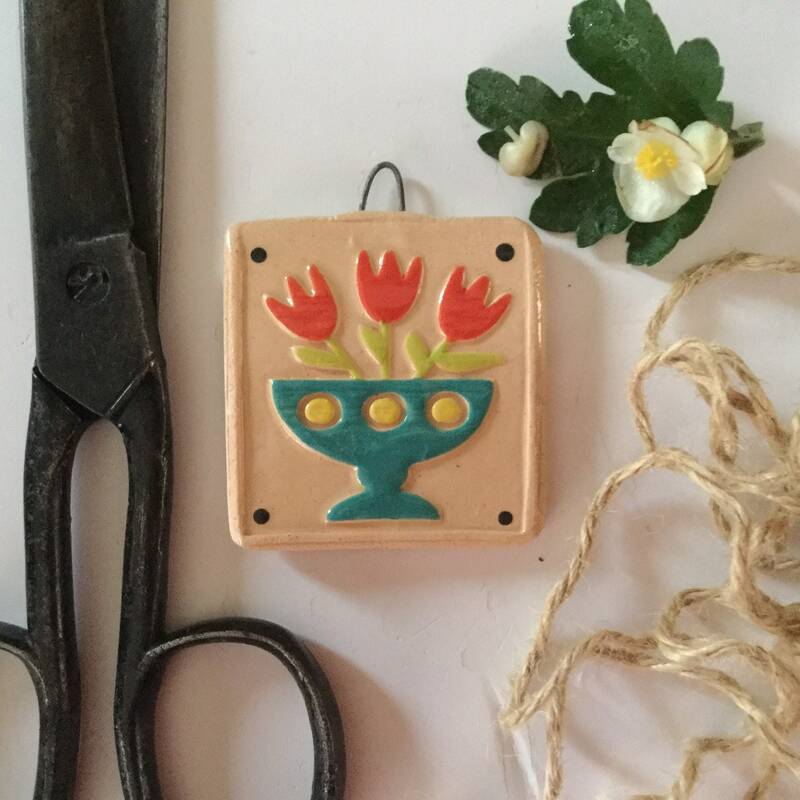 I cut the shape from a slab of earthenware clay and apply the design into the piece.. Once dried out, they are bisque fired in my kiln and then I apply the coloured glazes. They then need to be fired a second time. 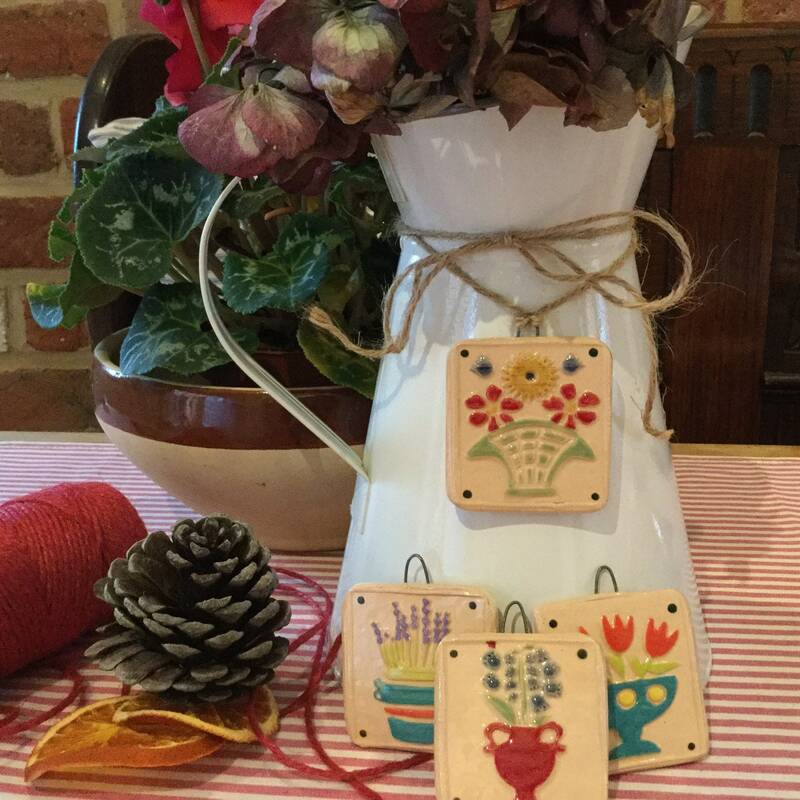 Perfect to decorate a plain jug, or hang from your dresser or attach to a special parcel, or even to a bunch of flowers! Please note: I try to represent the colours as they actually are. The photos are not enhanced, but ARE taken in good well lit conditions. Very pretty and decorative tag , a lovely splash of colour .